DARLINGTON, SC– On a night dominated by Denny Hamlin, Joey Logano took full advantage of a green-white-checkered restart to pass his Joe Gibbs Racing teammate and win the VFW Sport Clips Help A Hero 200 at Darlington Raceway. Despite Logano’s bright-yellow No. 20 Toyota in victory lane at the historic South Carolina race track, it was the Joe Gibbs Racing machine of Denny Hamlin who was the dominant factor on Friday night. Taking the lead from polesitter, Ricky Stenhouse Jr. shortly after a restart stemming from a caution for an accident involving Ryan Blaney, Denny Hamlin quickly took control of the race on lap 19. With clean air hitting the front of his No. 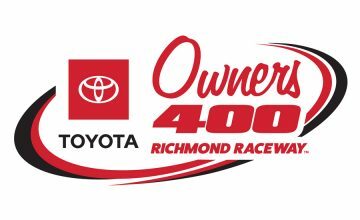 18 Toyota, Hamlin opened up a sizeable lead by the time the race’s second caution flag waved on lap 35 for Mike Wallace- who hit the wall in turns three and four. After pitting for tires and fuel under the caution, Hamlin led the field to the green for a restart on lap 42, but it was Joey Logano who cleared his JGR teammate exiting turn four after the two battled side-by-side. 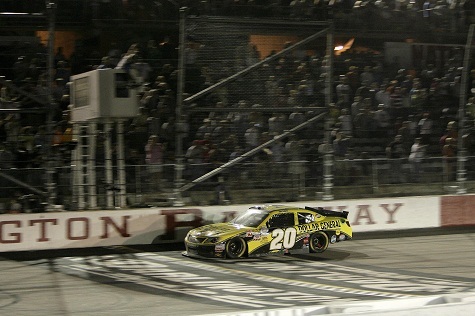 Logano’s time out front was abbreviated however, as Hamlin quickly reassumed the lead after a great run off turn four. 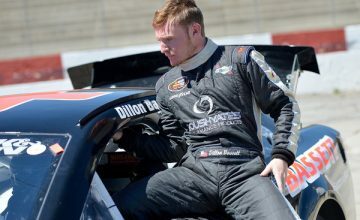 Friday night’s race was halted once again just three laps later as T.J. Bell brought out the caution on lap 46 after crashing on the frontsretch from contact with Josh Richards. With the leaders electing not to pit under caution, action quickly resumed on lap 51, but it was Kurt Busch who took over the lead with a daring three-wide pass in turns one and two on Hamlin and Logano. Just like he had done on the previous restart, Hamlin once again took over the lead just two laps later from Busch and set sail. Hamlin paced the next segment of the event, which included a green-flag run of 74 laps and a round of pit stops, and it wasn’t until lap 125 that the race was halted again for a caution. Just after Logano cleared him for position, Kurt Busch blew a right-front tire on his No. 54 Toyota and made hard contact with the outside wall on the frontretch, bringing out the night’s fourth caution. After another round of pit stops under the caution, the green flag waved once again on lap 132 with Elliott Sadler out front after electing to take two tires. Despite only two fresh tires versus the four that Hamlin had, Sadler was able to hold off Hamlin and remain in the lead until the next caution waved on lap 137 for Brendan Gaughan who made contact with the wall in turn three. Sadler led the field to the green on lap 142, but his No. 2 Chevrolet was sent nose-first into the outside wall after being bumped by Logano entering turn one. With Sadler’s car going across the track and in front of the pack that was barreling into the first turn, Denny Hamlin sustained damage to the right-front of his car, while Kasey Kahne and others were caught up in the accident. Sustaining major damage to his car, Sadler retreated to the garage area where moments later he emerged from his torn up race machine and was declared out of the race. After a lengthy cleanup, the race resumed on lap 150 for the first attempt at a green-white-checkered finish, and Joey Logano was able to clear his Joe Gibbs Racing teammate in turn one and take off for his second consecutive win in the Nationwide Series- and first at Darlington. Denny Hamlin finished second, followed by Brad Keselowski, Sam Hornish Jr. and Austin Dillon. NOTES: It was a quiet but solid night for Danica Patrick and Travis Pastrana who made their first career starts at Darlington on Friday- coming home with finishes of 12th and 17th respectively…. Finishing sixth, Ricky Stenhouse Jr. pulled his series points lead out to 23 over Elliott Sadler, who went on to finish 24th… The Nationwide Series returns to action on Sunday, May 20th for the Pioneer Hi-Bred 250 at Iowa Speedway in Newton, Iowa. Kyle Brandt is the Senior Writer for RubbingsRacing.com and can be followed on Twitter for the latest NASCAR news, opinions and analysis: @KyleBrandt_. Also, be sure to follow @RubbingsRacing for all the latest from our talented staff of writers and photographers.